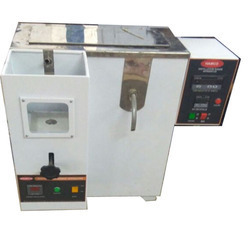 Widely demanded in laboratory and commercial place, this offered Nitrogen Determination Apparatus. We ensure longer service life for this apparatus. Glass Agencies EROSE are manufacturer of Distillation Glass Elctric. Warranty: 1 year against manufacturing defect. This still has the evaporator vessel enclosed in a combined steam jacket and trap: an arrangement which is compact and accelerates distillation. For ease of assembly and storage, it is fitted with a spherical ground glass joint between the distillation vessel and condenser. 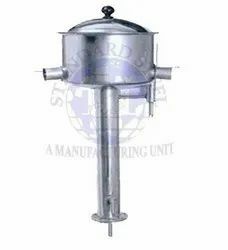 Distillation apparatus as per method D as per IS 1213 for creosote oil and anthracenet oil (without thermometer). Quartz Single Stage Distillation apparatus is compact and portable with Quartz Boiler and Quartz Condenser. Quartz can withstand very high temperature variations; it does not easily break with high temperature variations. Quartz being highly resistant, gives high purity distilled water.